With the summer getting hotter, and the days being so long, it is comforting to have a cool treat in the afternoon sometimes. 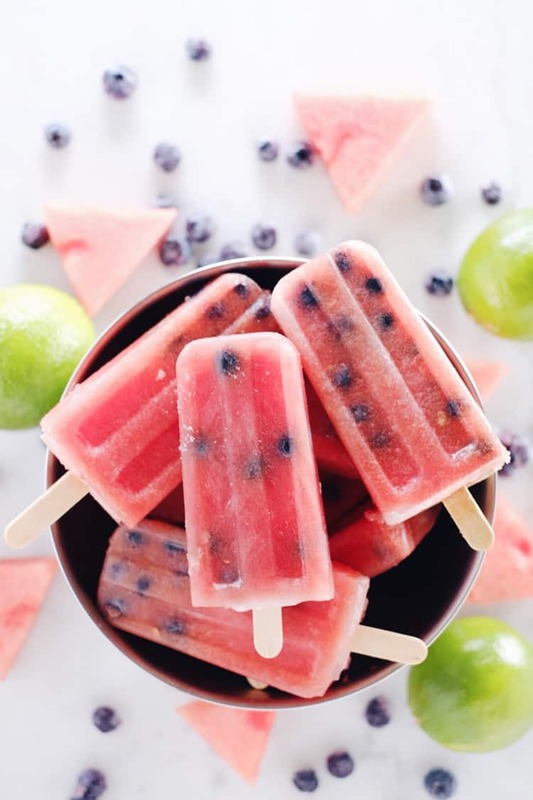 These watermelon blueberry lime popsicles are not only made with real fruit but are also dairy-free and refined sugar-free which makes them a sinless treat! I would have never thought to try these fruits together, but we had fresh watermelon in the fridge, frozen blueberries in the freezer, and limes on the counter, so I went with what we had on hand. Turns out it is quite a tasty flavor combination! I love how sometimes the kitchen sink method really ends up being a win. 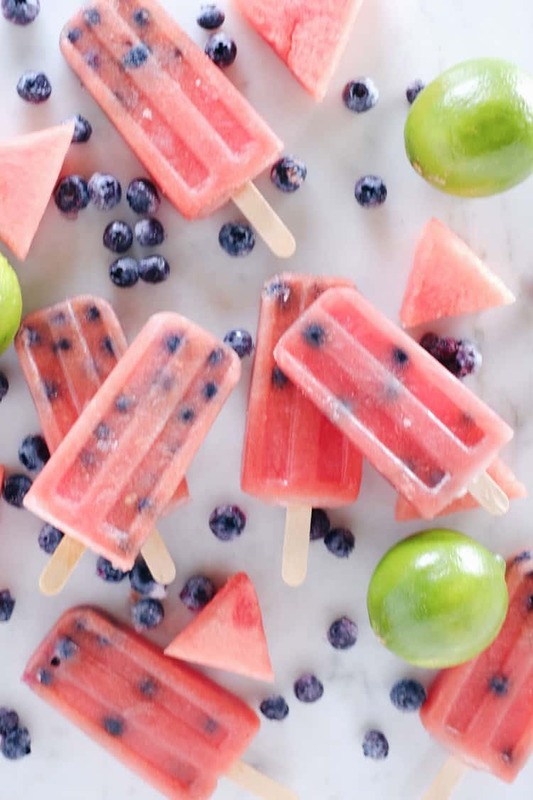 The best part about these watermelon blueberry lime popsicles is the rich color and the whole blueberries mixed right in. The whole frozen blueberries add a nice little pop of berry in the watermelon slushy-like texture. 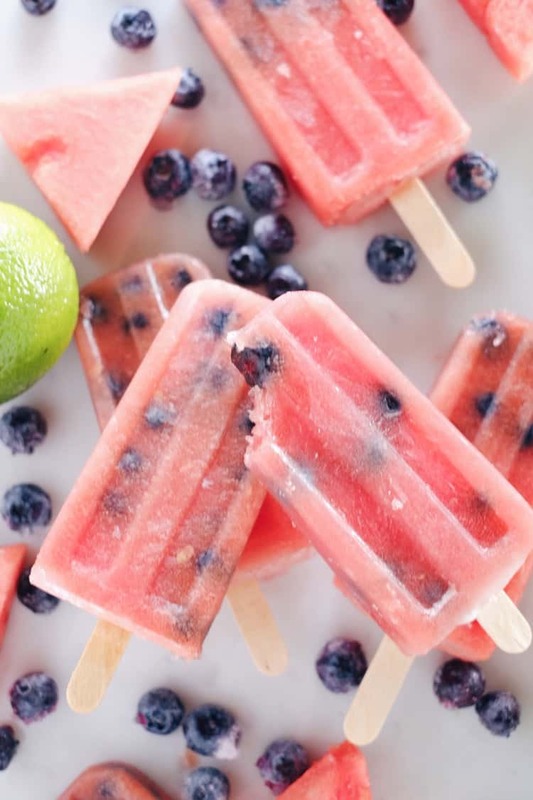 Add in the lime juice and you have a popsicle that tastes just a little like a mojito. Yum! 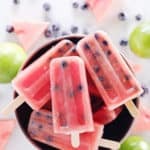 Get out your fresh seasonal fruits and make these watermelon blueberry lime popsicles to stay cool on these hot summer days. Let us know how it goes by leaving a comment below. Then, take a photo and tag us on Instagram @realsimplegood so we can check it out! Puree your watermelon and lime juice in a blender or food processor. Next, fill your popsicle molds per their instructions (either putting the sticks in first or last). Drop some blueberries in each mold, and then pour in the watermelon mixture until the molds are appropriately filled. Place in the freezer to set. Once set, remove from freezer and from molds and serve! Enjoy! You may have to run your molds under warm water for a few seconds to get them to loosen up and come out of the molds easily. Thanks!! They are so easy to make, too, which the lazy person in me loves!! Thanks for pinning!